If you are in a story/dialog chapter that is recorded at multiple speeds, you can quickly change the audio recording speed by following the steps below. NOTE: The speed selector will only appear when you have selected a story chapter (ie: it will not appear when in the study guide or Q&A). Your speed selection will be remembered for the rest of the audiobook playback until you change it. Tap outside the playback controls area to hide the controls and get back to the audiobook transcript. 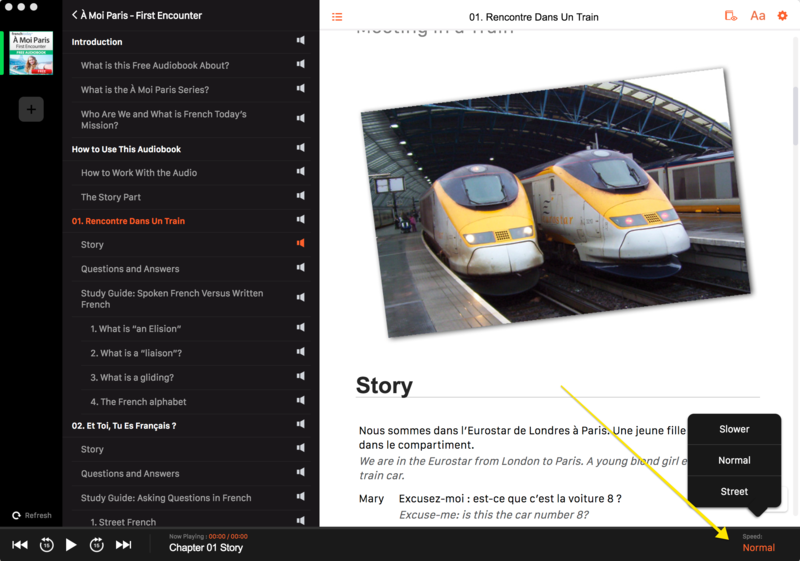 When a story chapter is selected, you will see the speed control in the lower right hand side. Tap on the speed name to change it. 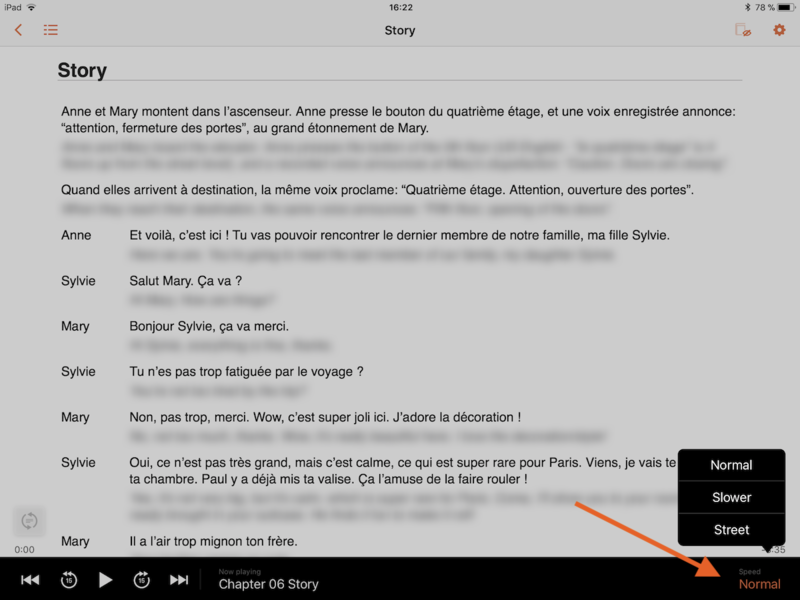 When a story chapter is selected, you will see the speed control in the lower right hand side. Click on the speed name to select a different speed.